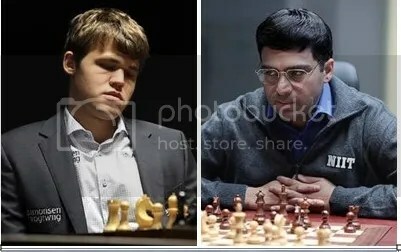 The FIDE World Chess Championship Match 2013 calendared to take place on 7-28 November 2013 at Hyatt Regency, Chennai, India would be between the reigning World Chess Champion Viswanathan Anand(2775) of India and Magnus Carlsen(2870) of Norway, the World’s #1 rated player with an ‘All-Time-High’ rating of 2872 (Feb 2013 – April 2013 FIDE rating list), who won the FIDE World Chess Candidates Tournament, London 2013 (15 March – 1 April 2013). Viswanathan Anand the reigning 15th World Chess Champion (official & undisputed) who made it at age 37yrs-9mos-18days on 29 September 2007 had successfully defended the title in 2008, 2010 & 2012. 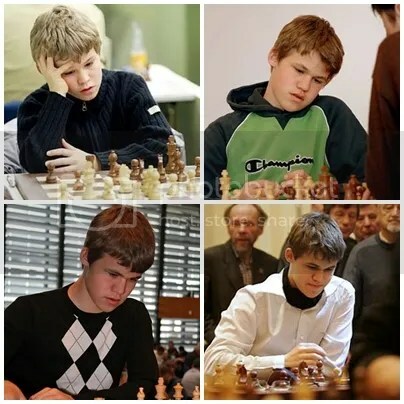 Assuming that the FWCM 2013 will go the full distance, ends on 28 November 2013 (tie break games) and Magnus Carlsen will be declared as the new World Chess Champion (16th), by then, Carlsen (born: 30 November 1990) will be 22yrs-11mos-29days. 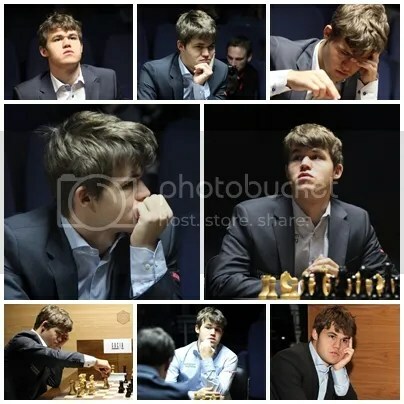 If that happens he will be the 2nd Youngest to capture the Official & Undisputed World Chess Championship (WCC). 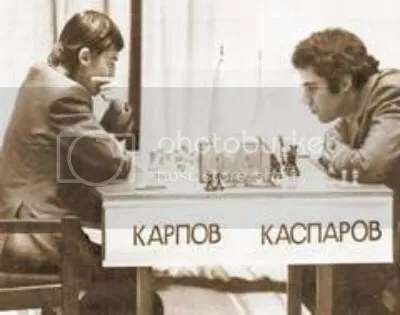 Magnus Carlsen will be 5 months older than Kasparov and 6 months younger than Mikhail Tal, the 2nd youngest World Champion who on 7 May 1960 became the 8th World Champion at age 23yrs-5mos-28days. What is lacking in his arsenal is the World Champion title … that hopefully he will attain come FWCM 2013. 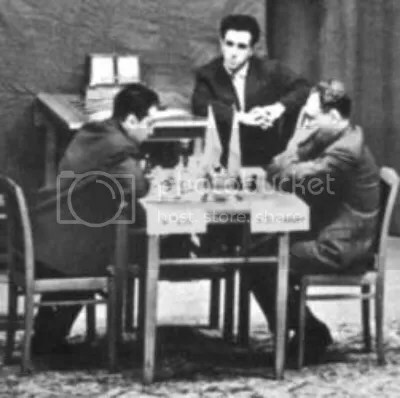 Additionally, with his current November 2013 FIDE rating of 2870, his ‘All-Time-High’ peak rating of 2872 (Feb 2013 – April 2013) and also his ‘all-time-high Live Rating’ of 2878.9 he achieved on 27 March 2013 in London at the Candidates Tournament when he defeated Boris Gelfand in R10, countless expect him to breach the 2900 mark sooner or later. And he probably would’ve prevailed had he entered the last but one Candidates cycle, but essentially he’ll be the same age as Garry was, the difference of a few months isn’t important, it’s simply how the dates fall; what really matters is that he’s been dominating in the same way Garry did but BEFORE winning the WCC and while still a teenager, Garry didn’t begin to dominate til after ever-so-slightly edging out Karpov.